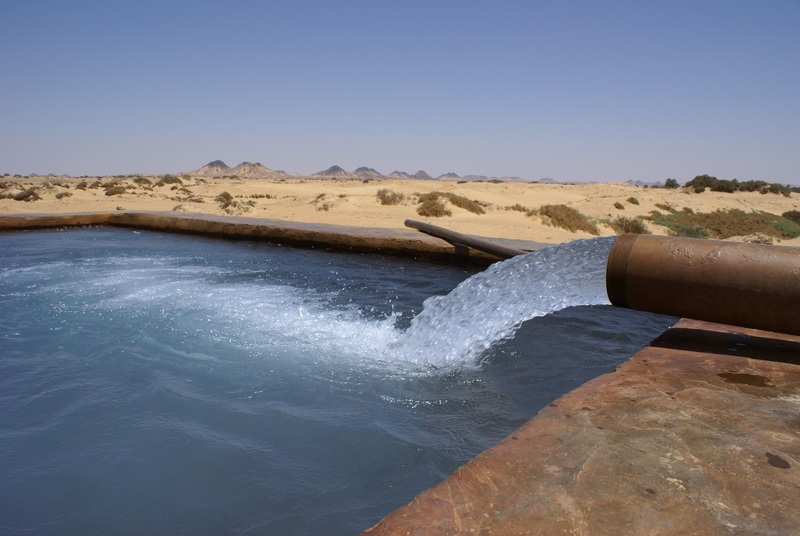 The desert – Earthlimited | Earth Limited? On Saturday, our third day, we drove out from Bahariya to spend a night camping in the desert. 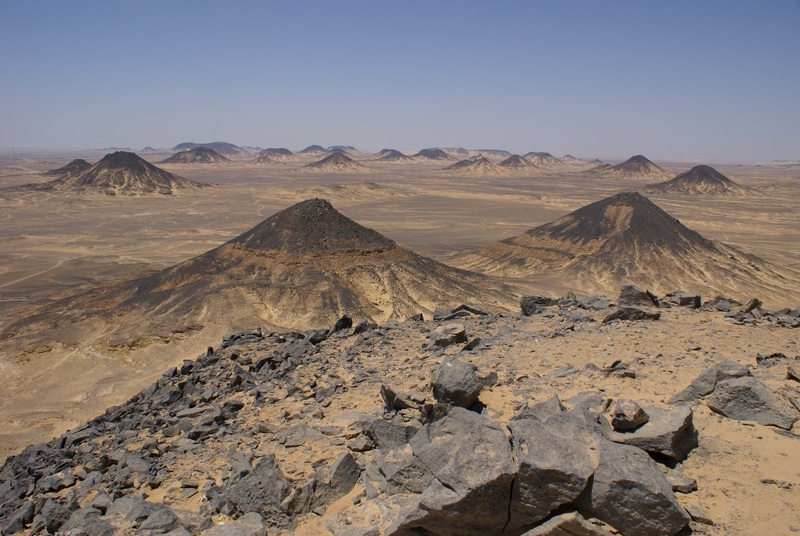 We stopped in the Black Desert, where I climbed a peak to view an amazing scene of extinct volcanoes. We then travelled on to a small oasis where we had lunch and a rest in the midday heat. In mid afternoon we drove on to a place called Crystal Mountain and then to the White Desert, where we set up camp for the night. Stunning, silent, beautiful starlit night. 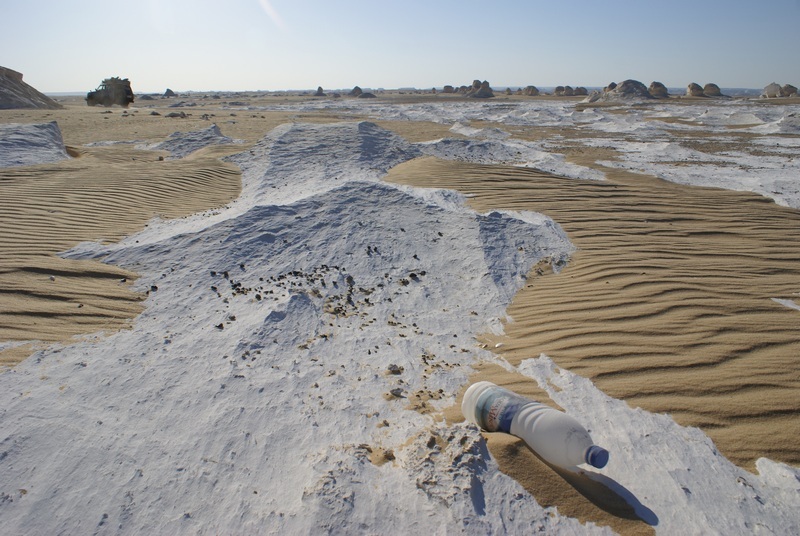 Marred slightly by obvious signs of human presence; plastic bottles thoughtlessly left in the desert sand. But a great experience to sleep in the desert under the stars. It was hard next day, driving back to Bahariya and then to the noise and pollution of Cairo. “Leave only your plastic drink bottle” - is that what we want as our 21st century footprint? In the end our time in Egypt seemed too short. There is a lot more that we need to know about changes happening in the desert, as much as in the mountains, with our rivers, our forests. People have lived with the desert for millennia. We associate the word “oasis” as a place to rest and recovery, a place of calm amidst the storm. What happens when we deplete the water that sustains our oases, when our personal oases become barren places? The greatest reward as our journey continues is the increased power we feel in sharing stories from other places and encouraging the people we meet to keep doing the good things they are engaged in.